Why the free concert and open bar? Flint James used to be a pro quarterback. Now he's a country singer. Either way, he is very good-looking and very muscular. Skye has to admit that Flint James is quite a hunk, even though she is engaged to Walter (Wally) Boyd, the chief of the Scumble River Police Department. Flint looks over the railing of the "newly constructed grandstand." Another grandstand? Or, more grandstanding? Behind James, a man in a very expensive country and western suit was surrounded by a bunch of guys in jeans, t-shirts and baseball caps. The guy with the expensive suit was looking very upset. The free concert was supposed to start at 6:30, but it was now 6:45 and nothing was happening yet. Skye wondered how long free drinks and a free concert could hold her fellow Scumble Riverites, who were so punctual, they considered fifteen minutes early as "on time." That's not my problem, Rex. The star does not go on first. And I'm the star. Flint James was a big celebrity, so why would he perform in Scumble River at all? Especially for free? The entire Scumble River Police Department had to show up for crowd control, due to the free drinks. "Dante Leofanti was seated front and center, on something resembling a red canvas throne. It had a canopy, a table attached to the arm, and even a footrest. His wife, Olive, sat by his side in a smaller version of the same elaborate chair, although hers was baby blue." She realized that her uncle, the mayor, would "have approved the use of the park, the permit to build the grandstand, and the authorization to serve alcohol." But, Skye did not care enough to go over to her uncle to ask, because he "treated information like a commodity, and she didn't want to be in his debt." Aunt Olive asks Skye if she wanted to talk to Dante. Love is a myth women made up to keep men in line . . . It's certainly not a good reason to get married. No need for Skye to know. "She wasn't on duty as either the town's school psychologist or the police department's psychological consultant." Still --- There are other needs. The lines at the Port-a-Potties were much too long for Skye. She sneaked into the regular park bathrooms, but those were blocked off by the trailers of the Country Roads tour. The trailer was parked so close, it was difficult to open the screen door. For some reason, the trailer's windows were open. Skye wondered why they didn't just shut the windows and turn on the air-conditioning like everyone else did on a sweltering day. She remembered she had read that some singers felt A/C was bad for their vocal cords. You're the one who taught me that sincerity is everything, and once you can fake that, you've got it made. Skye and Trixie have been best friends since they were both students at Scumble River High School themselves. Trixie is now the librarian and Skye the psychologist for the Scumble River School District. Trixie is very thin and small. Skye doesn't understand how she stay that way, after all the sweets and treats she likes to eat. On this particular day, Trixie shows up in a very upset state of mind, because she does not know where Owen, her husband, is, and can't seem to locate him. No voice messages, nothing. He almost always tells her what's going on, and when he'll be home. She thought she was by herself. Skye assumed the RV was empty, so she was surprised to hear people shouting inside of it as she washed her hands. Rex Taylor and Flint James were arguing about what to do regarding the opening act, Suzette Neal, who was already a half-hour late. James refuses to sing out of order by going on first, citing the contract with Country Roads Tours. When Taylor offers James a bribe, James says that is what Suzette wants, and James is "onto her schemes." He thinks that Suzette is trying to compete with him for celebrity status. But my costume . 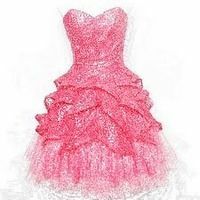 . . My beautiful sparkly dress. — Suzette Neal to Rex Taylor, Chapter 2, "Seven-Year Ache." No beautiful sparkly dress tonight. Just then, a dusty black pickup pulled up perpendicular to the RV. A young woman jumped out before it even came to a complete stop. The young woman was dressed in a ruffled denim mini-skirt, a pink stretch-lace top and pink cowboy boots. "We'll talk about it later, Suzette. . . . Right now you need to perform." Taylor forced her to start right away, without even makeup, hairstyle or costume. "But my costume," Suzette wailed. "My beautiful sparkly dress." Trixie paints a smile on her face. "Never mind. . . . Let's enjoy the music and worry about my missing husband later." "Suzette had a good voice. Skye wasn't sure if it was a great voice or if the girl had star quality, but Suzette was pretty and the crowd was well lubricated, so when she finished, the audience hooted, whistled and applauded enthusiastically." Hello. . . I'm a music promoter from Nashville and I have a vision. A vision of prosperity for all. — Rex Taylor, to an audience of Scumble Riverites who have been enjoying the open bar. Skye was still worrying about that "Branson of Illinois" plan of Rex Taylor's as she put her key into the lock of her home. Then, she heard a squeak and footsteps. "She whirled around, staring into the darkness until a slight figure stepped into the pool of light."
. . . "You scared the life out of me. What are you doing here?" Chapter 4, "Behind Closed Doors." "I'm so sorry . . . I'm Suzette Neal. One of the singers with the Country Roads Tour." Skye says she recognizes Suzette from the concert, which she enjoyed very much. Skye wants to know what the visit is about. Skye asks if Suzette ran out of gas or break down. "The only explanation Skye could think of for Suzette's presence on her front porch was a combination of car trouble and a dead cell phone." "No . . . Actually, I jogged out here." "So you ran out here for exercise? . . . I try to swim three or four times a week, but I don't always make time. You must be pretty dedicated to jog after a demanding performance." "Can we go inside?" Suzette twisted her head, as if if checking for spies. "We're pretty exposed out here and I really don't want anyone to know I'm talking to you." Exposed? Skye blinked. It was after ten at night and the only hot-blooded creature that might see them had four legs and fur. What was Suzette up to? "Please." The singer's voice cracked. Skye mentally shruggged. Letting a stranger into her home wasn't a good idea, but Suzette was, at most, five feet tall and a hundred pounds. Skye topped the young woman by seven inches and more pounds than she cared to admit. Surely she could take Suzette down if she had to. "Of course." Skye stepped back and allowed Suzette to precede her. She needs to tell it her own way. Skye, "was dying to find out why Suzette was there, but she knew from her experience as a school psychologist that it was best to let people tell their stories at their own pace." "So", Suzette said as Skye turned her back to reach into a drawer for spoons, " I guess you're wondering what I'm doing here." "Yep." Skye moved toward the table but kept her gaze on the tray she was carrying. The singer seemed to be able to talk more freely when she didn't have to maintain eye contact. "I am"
"Someone told me you're good at solving mysteries." Suzette studied her chewed fingernails. "That you figure things out when the cops get stuck." "I've helped out the police a few times," Skye answered carefully. "I heard you're the small-town Nancy Drew." Suzette tilted her head. "I didn't know who she was, but I Googled her after the concert and Wikipedia said she was a girl detective in some old-timey books." Skye mentally tsked. How could someone not have heard of one of the best girl series ever written? Nancy through the Decades. 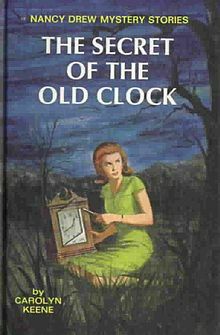 Bio essay about Nancy Drew at Mystery Net's Nancy Drew website. So, what do you need a detective for? — Skye Denison to Suzette Neal, chapter 4, "Behind Closed Doors"
Before giving the answer, Suzette asks if it will be confidential. As the school psychologist and police consultant, Skye has lots of confidential conversations with students, parents and others. She promises Suzette that she will not break confidentiality unless it creates a danger for someone. Suzette asks Skye for help in solving a mystery that happened twenty-seven years ago. Skye believes that Suzette is only twenty-two years old. Suzette says that is one of the reasons it has to be so secretive. Rex Taylor believes Suzette is twenty-two, but Suzette is really almost thirty. "Oh . . . Still what connection to the deceased do you have?" "The woman was my mother." "I'm so sorry." Skye patted Suzette's hand. The sadness in the singer's voice brought a lump to Skye's throat. "How did she die?" "The official report says she slipped in the bathtub and hit her head." "But you don't believe that." No, Suzette did not believe it, because she remembered voices that day and a door slamming. She had been home playing in her room that day. Her dad told her she was too young to remember anything. Chapter 5, "Sunday Morning, Coming Down"
" . .. . Skye didn't hold high hopes that anyone would recall much about [Mr and Mrs. Neal.] They had lived in Scumble River for less than a year, a long time ago. However, Skye knew good and well that if the townsfolk did have any knowledge of the incident, they would talk to her a lot more easily than they would to a stranger." "Skye had agreed to consider looking into Mrs. Neal's death, and promised Suzette an answer by Monday afternoon.The singer had suggested Skye pick her up at the barn-to-theater remodel site, where Rex had set up a mobile office, as Suzette would be spending most of her time there." When Skye goes to the farm-to-theater site (formerly the Hutton Dairy Farm) to meet with Suzette, however, she can only find a little white dog there, standing wet and bedraggled in the rain on a metal step of the Winnebago Rex Taylor used for an office. The little white dog wore a hot pink rhinestone-studded collar. His tag said his name was Toby. Toby refused to get close to Skye. She had to chase him all over the abandoned farm. "Once Skye caught up with Toby, he ran to a steamroller and sat beside it, whimpering. Peeking out from under the massive roller was a pair of pink cowboy boots." Owen is a person of interest, because of his long absences. But, Wally doesn't arrest him --- yet. For one thing, the corpse cannot be identified at first, because of its damaged condition. Skye feels certain it must be Suzette, but is still hoping maybe not. Also, there's a problem --- well, several problems actually --- regarding Toby's placement. Skye's cat, Bingo, has to be separated from Toby, at least for the night. Skye kept Bingo in her bedroom upstairs with the door locked. She put Bingo's litterbox, food and water in the bedroom. "Sometime during the night, Toby must have escaped the barrier she had constructed. Up and down the hall, shredded magazines and books made it look like a huge confetti balloon had burst. "In the parlor, throw pillows had been chewed and tossed around, and the air swirled with their feathery remains. But by far the worst mess was in the kitchen. Whatever had been on the counter or table was now on the floor. Canisters of four and sugar had been knocked to the tiles and broken open. Torn tea bags were strewn everywhere, and ribbons of cloth chewed from her pale yellow place mats added a decorative touch. How in the world had a dog less than two feet tall jumped so high and done so much damage? "Following the trail of telltale paw prints, Skye found Toby asleep in the sunroom--- right where she had left him the night before. Bits of what might have been her favorite candy-apple-red lace bra adorned his fur. It was obviuos that Toby could not be trusted alone while she went to work. "As Skye leaned against the wall, her head spinning from the extent of the demolition, Toby opened one bright brown eye and gave her his best canine smile. Her shoulders slumped. It wasn't his fault. Yesterday had been traumatic for him, and last night she'd left him alone too long. A bored doggie was a destructive doggie. Not enough stars in the sky to rate this one. Swanson's writing is always outstanding, of course. That's just a given. She describes nuances of expression and body language in a way that is insightful, organic and accurate. That is why I find myself quoting her books so much. I want to show how skilfully crafted her words are. Her prose is a little cinematographic. I feel that I always know where I am when reading her books, whether she is describing an outdoor or indoor scene. This novel reports incidents that are hideously violent and very sad . . . Yet, there is a kind of bittersweet nostalgia, as well. Skye's beloved family member reconnects with music and a lost romance from long-ago. At the end of the book, Skye and Wally reminisce about Suzette's musical gift. I was very happy to see Skye interacting more with Simon in this book. I like Simon much more than Wally, but I guess I should stop saying that? Yes, the library is always worth a try, of course. Our local library here is not so big on cozy mysteries :-(( Alas! Although I DID find my first Scumble River Mystery (Murder of a Botoxed Blonde) there. That's what got me hooked. But, I was disappointed to see the library only has one or two titles from the SCR series. I always try to find books at low-cost or free places before I buy at Barnes & Noble or order from Amazon. I think it's a great idea!! There are also book swap or book share websites, as well. I've used those a few times. Thanks for stopping by, peachpurple. Happy hunting!! It's quite an honor to get a second visit. Yes, it really is good. But, then again, I'm kind of biased. 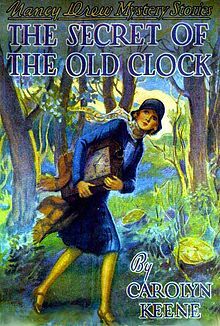 I liked all the Scumble River Mysteries so much. A great mystery. Came back to share it. Does sound like a great book! Yes, it was a page turner, definitely. Great detective work on your part, au fait. So glad you're getting into the spirit LOL. Thanks for your comment, and thanks so much for the wonderful compliment, dear. A really great review! Sounds like a lot of twisty turns in this book to keep a person on the edge of their chair wondering what's next. I guess whoever killed her mother was still alive because s/he got Suze too. Since her father was already dead that put him in the clear. Sounds like a page turner for sure . . .
Hey, thanks for reading my Hub, Nell, and for stopping by to comment. Yes, she does have many fans, I believe. Her books are quite popular. I enjoy them so much myself. Yes, please do have a wonderful day yourself, Nell. Take care. It's so nice of you to visit me again. Keep in touch, ok?